Imagine that you’ve had the revelation that you love Canadian indie music. You’ve recently discovered CBC Radio 3, but before that, your exposure was pretty much limited to what was played on U.S. commercial radio. Sloan. Stars. Spirit of the West. Hayden. The Tragically Hip. And some guy named Sam Roberts. The sticks is where we phoned lead singer and songwriter Ryan Guldemond. On a “purgatorial” drive to Milwaukee to perform at Summerfest (“The World’s Largest Music Festival”), we chatted with Guldemond about extremes, art and ruining a perfectly good pop song. N2DS2W: Your tour schedule this month looks challenging, to say the least. It’s all over the place. Guldemond: Yeah, there’s some interesting routing. N2DS2W: How’s the tour going? Guldemond: Good. We’re in the thick of a purgatorial drive to Milwaukee for Summerfest. It’s our first time in Milwaukee, where we’ll be in front of 10,000 people. N2DS2W: That sounds like a great gig for Mother Mother. Guldemond: Yeah, it’s kind of extreme to be in a van for 40-plus hours then jump onto stage. But extremes are for a reason. It’s good once you get in the groove. N2DS2W: That shouldn’t be a problem for Mother Mother, since you won the Best Reason To Buy A Concert Ticket category in CBC Radio 3’s 2012Bucky Awards. Guldemond: We’ll have to live up to the Bucky, summon the Bucky. 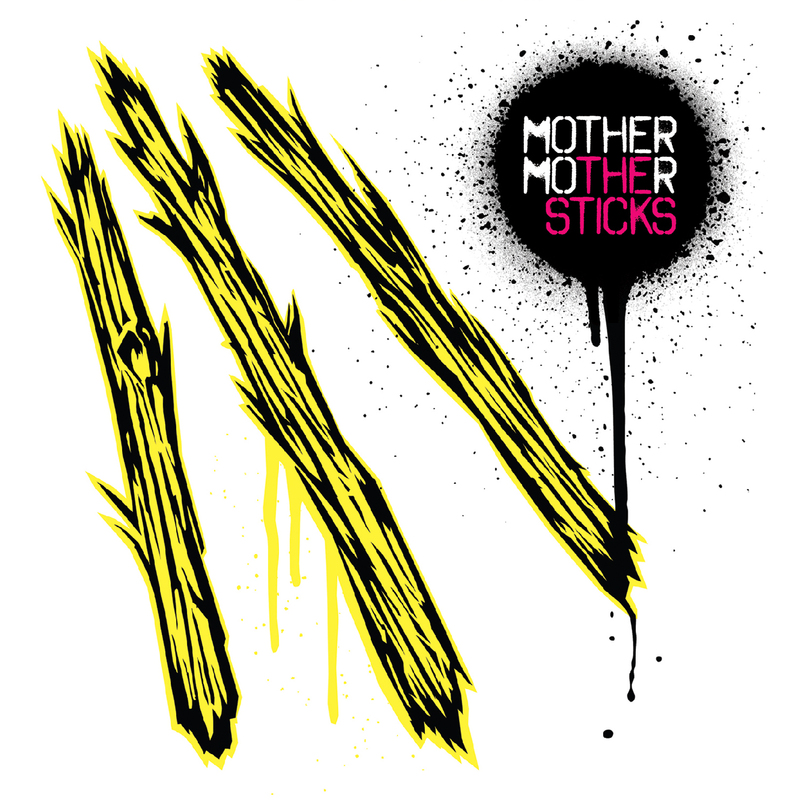 N2DS2W: Mother Mother just completed a four-album contract with Last Gang Records. What’s next? Guldemond: We’re just all up in the air about things. No forecasts. That’s a boring topic anyway, all business, corporate stuff. N2DS2W: Okay. What inspires your songwriting? What sets you off? Guldemond: The strange and the beautiful, being worried with everyday things, giving an injection of magic into them. In music, it’s taking simple and tried forms and turning them on their ear. A class of nostalgia combined with complete originality. The dark and horrifying traits of people, the morally askew, the awkwardness of it all. The flat, sad tragedy of the everyday life. N2DS2W: That’s a great definition of art. Guldemond: I don’t know much about art. I don’t even know if I’m an artist. I think it’s a word that average people use and abuse. N2DS2W: So what is an artist? Guldemond: You don’t compromise. It’s recognizing what you like and what you want and being centered around that. There are aspects of comfort to that. Musically, I compromise very little. When I look at our catalog, I think there’s maybe 20-30 pop song we totally screwed up. If only we’d compromised more, if we’d been what we’re conditioned to be, we would have created something much more digestible. Guldemond: I was being sarcastic, but yeah. N2DS2W: I got that. So how are the audiences for you in the U.S.? Are you getting recognition? Guldemond: Very marginally. We don’t have a lot of luck with radio. You can tour until you’re blue in the face, but you just keep trying. Trying is fun even if you don’t succeed.